Everyone is always in a hurry to complete a project, before they even start! But it’s understandable. After dreaming about your new build or home renovation / extension for some time and having finally decided to take the plunge you want to make it all happen as soon as possible. The reality which no one wants to hear is that the pre-construction phase take time – it involves stages you’ve probably never heard of that take a lot longer than you would think, and nowhere near as quick as you’d like! 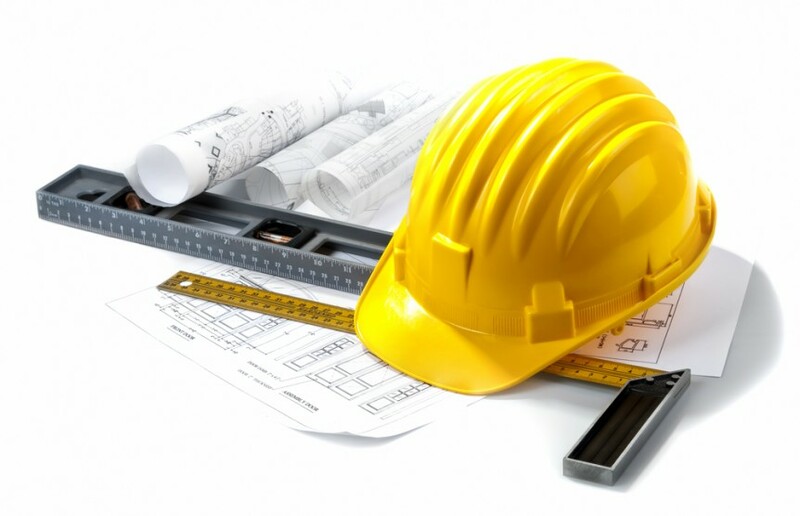 Therefore often people wish to get on site and start work, and design on the go. This is not a good idea if you are looking for a good quality finish and good value. The following 2 photos are “just” refurbishments that didn’t require planning approval. The one on the left is a strip-out before a cosmetic refurbishment. 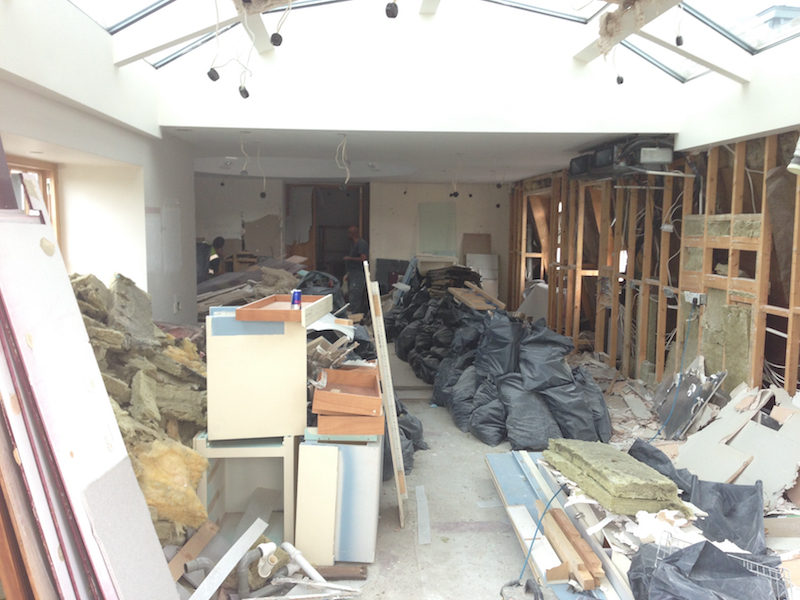 The one on the right is a lounge/ dining knock through and chimney removal. 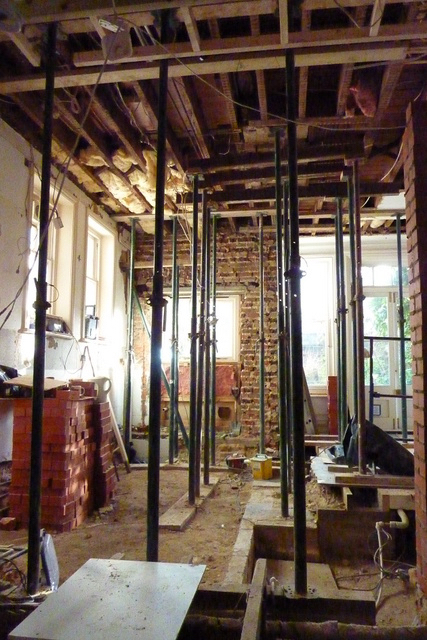 Would you want the builder to strip-out when you haven’t quite finalised what’s going back? Would you want someone to do this to your home without being able to give you a firm price, which only comes from a firm plan? Of course not, how stressful would that be?! So to get to the final plan requires several steps including preparation of drawings, approvals from the Local Authority where required, and input from various professionals. Cutting the initial design time down or even out of the schedule is never a good way to save time as design is ALWAYS REQUIRED, whether your designer does it, you do it, or your plan is to leave it to the builder to work out on site. However, it is not cost effective to design on site. 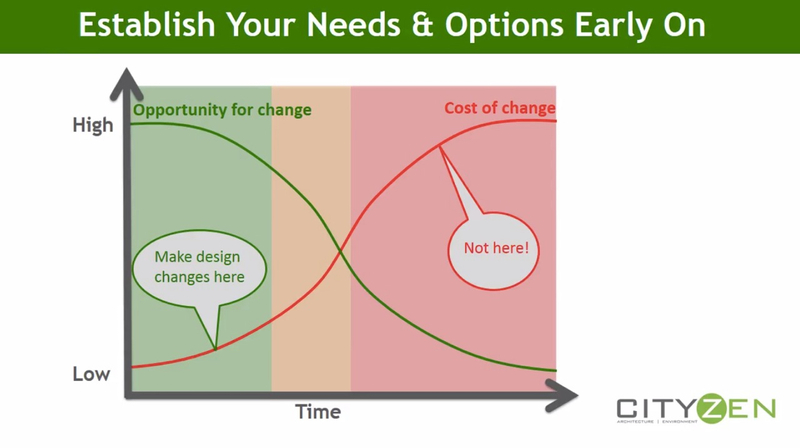 Time on-site is construction time and changes or waiting on design decisions costs money. Design is most cost effective on paper. 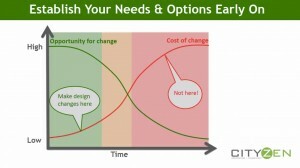 This simple graph explains the design changes, costs, project time relationship. A final word of warning- if working on existing buildings then unknowns are usually lurking in the walls, floors and roof that will require changes or fast decisions to be made. These items, which cannot be known beforehand, eat into your project costs, which is why you need a contingency fund. Refurbishing, extending or even building your home is a really exciting project. But remember it is your most valuable asset though so do it right. Don’t rush your design stage – as the saying goes “Measure Twice, Cut Once”.